Beatles FAQ: The Beatles first British number 1 single? The Beatles first British number 1 single? At the end of the lengthy recording session for the single version of Please Please Me George Martin turned to The Beatles and said, 'Gentlemen, you have your first Number One!' George was rarely wrong about anything but in this case the jury is still out. In the early 1960s there were three major records charts in the UK. The New Musical Express and the Melody Maker both had Please Please Me at Number One in February 1963. But on the 'official' Record Retailer (later Music Week) chart used by the industry it only reached Number 2. 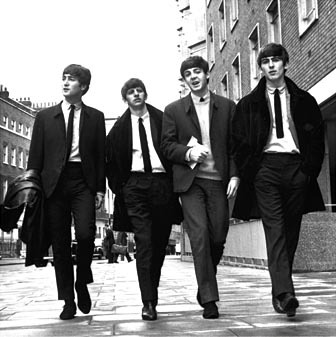 It was the next single that is now generally considered the first official Beatles Number 1. Written by John and Paul on Helen Shapiro's tour bus travelling through Shropshire, From Me to You stayed in the top spot for seven weeks.